Why Do New Defaults Turn Off CO2 and Apnea Alarms? Growing Pains: Unavoidable Collateral Damage or Time for a Warning? An example of yet another medication error – of sorts! Gas Cylinder Colors ARE NOT an FDA Standard! Is Hydromorphone PCA Safer Than Morphine PCA? Distractions in the Operating Room: Should the Use of Personal Computers Be Banned during the Administration of Anesthesia? On January 26, 2010, the Anesthesia Patient Safety Foundation (APSF) convened a consensus conference of 100 stakeholders from many different backgrounds to develop new strategies for “predictable prompt improvement” of medication safety in the operating room. The proposed new paradigm to reduce medication errors causing harm to patients in the operating room is based on Standardization, Technology, Pharmacy/Prefilled/Premixed, and Culture (STPC). This new paradigm goes far beyond the important but traditional emphasis on medication label format and the admonition to “always read the label.” Small group sessions on each of the 4 elements of the new paradigm (STPC) debated and formulated specific recommendations that were organized and prioritized by all the attendees. High alert drugs (such as phenylephrine and epinephrine) should be available in standardized concentrations/diluents prepared by pharmacy in a ready-to-use (bolus or infusion) form that is appropriate for both adult and pediatric patients. Infusions should be delivered by an electronically controlled smart device containing a drug library. Ready-to-use syringes and infusions should have standardized fully compliant machine–readable labels. Every anesthetizing location should have a mechanism to identify medications before drawing up or administering them (bar code reader) and a mechanism to provide feedback, decision support, and documentation (automated information system). Routine provider-prepared medications should be discontinued whenever possible. Clinical pharmacists should be part of the perioperative/operating room team. Standardized pre-prepared medication kits by case type should be used whenever possible. Establish a “just culture” for reporting errors (including near misses) and discussion of lessons learned. Establish a culture of education, understanding, and accountability via a required curriculum, CME/CE, and dissemination of dramatic stories in the APSF Newsletter and educational videos. Establish a culture of cooperation and recognition of the benefits of STPC within and between institutions, professional organizations, and accreditation agencies. It was agreed that anesthesia professionals will likely surrender some of their “independence,” adapting their medication preparation and delivery preferences and habits into more standardized practice patterns (involving guidelines and checklists), utilizing more standardized and premixed medications (input and supply by pharmacy services), and relying more on technology. Facilities and their administrators that are sensitive to the economic value of safety (return on investment) are critical to the effort, for both moral support to do the right thing and for provision of financial support for change. Practitioners in the operating room may take some convincing, but culture and patient safety can improve and medication errors causing morbidity and mortality can be dramatically reduced—just as happened with intraoperative monitoring years ago. Persistent reports of medication accidents occurring in the operating room with resultant harm or potential harm to patients prompted the APSF to convene a consensus conference of 100 stakeholders from many different backgrounds on January 26, 2010, in Phoenix, Arizona. The goal of the conference was to create actionable statements that could result in “predictable prompt improvement” of medication safety in the operating room. Multiple reports and analyses of “syringe swaps” and incorrect syringe labels, look-alike labels, look-alike medication vials and ampoules, incorrect injection sites (into epidural or arterial catheters), and infusion pump confusion or programming errors have appeared in the Anesthesia Patient Safety Foundation Newsletter and other journals in recent years.1-3 APSF conducted its 2008 Annual Workshop on “Innovations in Medication Safety in the Operating Room,” with the report of this meeting being published in the Winter 2008-09 APSF Newsletter.3 Other reviews and editorials have considered distinctive label format for medication containers and syringes, uniform drug labeling standards, and a more universal role of pharmacy services.4-7 While all those are relevant, little, if anything, has changed. Operating room medication errors continue to occur, many with significant morbidity and/or mortality. Anesthesia professionals in the operating room have a unique role and responsibility in that they are the only medical personnel who prescribe, secure, prepare, administer, and document medications—a process that can take up to 41 steps—usually within a very short time interval.2 In addition these steps occur in real time, autonomously, often in a distracting environment, and typically without standardized protocols. Standardization, Technology, Pharmacy/Prefilled/Premixed and Culture (STPC), representing a new 4-pronged approach to the persistent problems of medication safety in the operating room. Robert K. Stoelting, MD, APSF president, served as the overall moderator for the intense 1-day conference. He opened with the video Beyond Blame, produced in 1997 and distributed by the Institute for Safe Medication Practices. The video contains interviews with an anesthesiologist, an ICU nurse, and a pharmacist, each of whom was involved with a fatal medication error. The video stresses, “It could happen to anyone.” Despite the passage of 13 years the issues in the video remained highly relevant in 2010. Dr. Stoelting also noted the often-cited statistic that there is 1 significant anesthetic medication error in every 133 anesthetics administered and, of those errors, 1 out of 250 is fatal.1 This translates to nearly 1000 deaths a year in the United States. Acknowledging the general value of evidence-based medicine, he stressed that the traditional approach involving multiple randomly controlled prospective blinded trials simply cannot apply to preventing rare unpredictable adverse events—and that waiting or hoping for such results can actually be counterproductive for safety. He emphasized that safety is doing the right thing because it makes sense. Dr. Stoelting noted that anesthesia safety has been improved by many small steps over the years, that have made a big difference in the aggregate. Dr. Stoelting introduced a novel format consisting of 20 invited speakers from widely varying disciplines and backgrounds (clinical anesthesia, research [including human factors], surgery, operating room nursing, administration, pharmacy, regulators, and the pharmaceutical/medication device industry). Each speaker had a 15-minute time slot—but all with the same topic: “Time for a New Paradigm: Standardization, Technology, Pharmacy, Culture.” Each was asked to address relevant elements of the paradigm from their special perspective. Following these 20 presentations the entire assembly was divided by interest and expertise into 4 small group breakout sessions, one for each component of the STPC paradigm. The assignment to each group was to generate a list of actionable items in order of impact that, if implemented, would produce “predictable prompt improvement” in operating room medication safety. A final combined session set the stage for development of consensus statements as the primary product of the conference. The keynote speaker was Alan F. Merry, MBChB, head of anesthesiology at the University of Auckland, New Zealand, former chair of the Patient Safety Committee of the World Federated Societies of Anesthesiologists, and founder of Safer Sleep, LLC, a company that provides technology intended to increase anesthetic medication safety. He cited the recently adopted “Guidelines for the Safe Administration of Injectable Drugs in Anaesthesia” from the Australian and New Zealand College of Anaesthetists that focus on standardization of medication administration as opposed to the traditional approach of each practitioner independently making these decisions. He also noted that the International Standards Organization most recent publication regarding content of adhesive syringe labels includes the class of drug (“induction agent,” “muscle relaxant,”) as well as the drug name along with space to write the concentration and date and, also, a bar code. Another component of standardization is in the anesthesia workspace, in that he suggests a uniform arrangement of medications, syringes, empty drug containers for every case by every provider. Because of human nature, errors will occur at points in the drug administration process, and Dr. Merry suggested orientation toward managing predictable errors rather than the futile attempt to eliminate all errors. Having a satellite pharmacy in the operating room area is a forward step. Having medication containers come into the operating room with attached peel-off detailed labels ready to go on the syringe is another related step. Application of the increasingly effective “checklist mentality,” especially if a second person or a device such as a bar-code reader with spoken voice repetition of the name checks the drug about to be given, was emphasized. Finally, from a “culture” perspective, he noted that anesthesia professionals may exhibit problems with denial and also believe they are all above average, but that these features must be overcome with a genuine reporting system that recognizes and records errors, enabling analysis and subsequent system modification to prevent repetition. 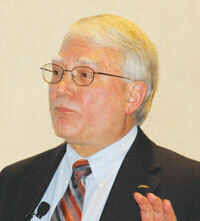 Systematic improvement of the human performance required in anesthetic drug administration was the theme of Donald E. Martin, MD, from Penn State College of Medicine. The usual human factors associated with accidents, led by inattention (but also failures of memory, knowledge, or motivation), are associated with drug errors in the operating room. He presented an analysis of the 41 steps involved in first-time administration of a drug during an anesthetic and noted 36 were automatic behavior with muscle memory and 5 required conscious attention, decisions, and judgment—a setup for inattention to the 5 critical steps. Ways to help direct attention by the anesthesia professional to the key parts of drug administration were presented, including both ergonomics of the anesthesia workspace (a recurrent point from many presentations) and larger and louder stimuli to target multiple senses. Dr. Martin made analogies to function in the cockpit of a commercial airliner, particularly noting the beneficial use of checklists and also the concept of the “culture of safety” where individual autonomy of action is surrendered and the prescribed “standard operating procedure” is the only acceptable behavior. He ended with a plea to involve the entire operating room team in the effort to improve medication safety. 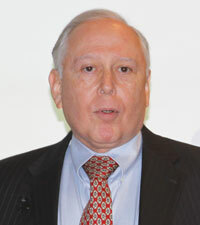 Robert A. Caplan, MD, member of the APSF Executive Committee and medical director of Quality at Virginia Mason in Seattle, in a particularly poignant presentation, emphasized the importance of the “culture” of medication labeling by recounting a tragic accident that occurred in his organization in 2004. A patient who was undergoing an interventional radiology procedure accidently received a fatal injection of chlorhexidine (a prep solution) instead of contrast dye because both solutions were in similar, unlabeled containers on the procedure table. As a result of this event, the leadership and safety teams at Virginia Mason made several key discoveries about the existing “culture” of medication labeling. First, medication labeling was regarded as desirable but not mandatory. Second, the strongest motivation for not labeling was convenience. And third, it was not possible to justify non-labeling behavior with clinical, ergonomic, or economic arguments. As a result, Virginia Mason developed an explicit, standardized process for medication labeling. The process is now used throughout the organization. Dr. Caplan noted that this event and its associated lessons have accelerated the implementation of other related safety strategies. A different aspect of the question was addressed by Maria Magro, CRNA, who is a member of the APSF Executive Committee and program director, Nurse Anesthesia, at the University of Pennsylvania School of Nursing. She described the national survey of CRNA training programs she and 2 colleagues conducted regarding formal training in anesthesia medication safety practices. Results revealed the impression that drug errors observed or committed by CRNA students are under-reported and that medication safety can be a stronger component of the curriculum. The 44% of training programs that did not have a formal medication safety module reported such reasons as these: medication safety was not a problem, incidents at clinical sites would be handled there, and the ICU nurses entering the program would already have medication safety skills. Support was generated through the survey process for a nationally standardized curriculum as well as generous use of simulation to teach safety skills for medication administration to CRNA students. Jerry A. Cohen, MD, first vice-president of the American Society of Anesthesiologists and from the University of Florida, stated that fragmentation of the approach to medication safety problems is itself a significant problem. He maintained, the Swiss-cheese model of human error and accidents notwithstanding, that attempting to isolate root causes obscures complex interactive pathways (system function) that lead to errors. He cited a host of individual factors that can contribute to medication errors, particularly failure to standardize the operating room environment, especially the anesthesia work area, which leads to chaos and distraction and an equally long list of barriers to improvement, especially resistance to checklists, communication silos, and production pressure. Dr. Cohen suggested that widespread standardization and also the use of pharmacy-prepared bar coded medications with bar code readers as part of electronic anesthesia records and information management systems would be central to efforts to improve medication safety in the operating room. He concluded with a plea for studies to generate data to guide implementation and also stimulate appropriate standards and regulations that will govern practice. A different take on human factors engineering was provided by John W. Gosbee, MD, of the University of Michigan who presented an elaborate “equation” describing operating room medication errors, in which the probability of confusion was the product of 6 factors: “sound alike, look alike, location expectation, location trust, work flow expectation, and work flow trust.” He analyzed and provided examples of each factor in the anesthesia work station environment in a typical operating room. More emphasis came on the context of medication use in the work area than on labeling itself. He suggested that very simple factors such as strict standardization of the anesthesia work space, especially the location of stored medications, would help improve safety now while more complex technologic solutions involving barcodes, readers, and computerized records are developed and rigorously tested for efficacy. The public policy component was provided by Nancy Foster, vice president for Quality and Patient Safety Policy for the American Hospital Association. She noted that facility administrators are always interested in patient safety, but clinicians need to be more skilled at presenting safety proposals, particularly involving resource allocation, as imperatives that lead to “win-win” situations. 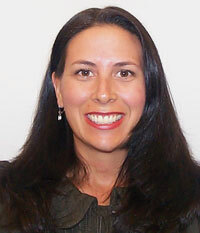 She suggested one useful strategy is to “engage” administrators by including them on quality improvement teams and safety task forces and then give them specific goals and assignments that are achievable, thus reinforcing their stake in establishing a safety culture and improvement of outcome. Also, Ms. Foster noted the trend of greater integration of health professionals, physicians in particular, into the internal institutional organization, which should increase the receptivity of administrators to safety proposals. She concluded with a reminder that administrators are sensitive to the public’s perception of their facility and that the public today finds failure to attempt to improve patient safety as totally unacceptable. A surgical perspective on OR medication safety was offered by a member of the APSF Board of Directors, William P. Schecter, MD, from UCSF and San Francisco General Hospital. He functionally provided a “morbidity and mortality conference” based on operating room medication errors he had witnessed over the years. At the outset, he noted the tension and complex interaction between human error and system failure and how this could relate to different types of medication errors (wrong drug or dose or route, and adverse reactions). He also applied the STPC paradigm to each case to dissect out causes that could be corrected with those elements. In all cases, there were both human factors and system components as root causes. In nearly all the cases, standardization of practice and protocols would have helped to prevent the error. The eerily familiar theme of accidental injection of a toxic substance into an inappropriate injection port with catastrophic outcome figured in 3 of the cases. Adherence to strict labeling policies and physical segregation of toxins were the suggested remedies. The Institute for Safe Medication Practices (ISMP) was represented by Allen J. Vaida, PharmD, its executive vice president. The ISMP focus is on the system causes of medication errors and resulting system changes that must be implemented along with education to prevent recurring patterns. Dr. Vaida stressed employing an open environment of sharing errors internally and externally to safety organizations for learning, sharing, and bringing about change. He noted relatively poor compliance with labeling policies and procedures during drug administration and also showed many examples of striking look-alike drug vials (and noted the disproportionately great number of look-alike accidents involving muscle relaxants). He also stressed that clinicians (working to achieve consensus with pharmacists and manufacturers) need to establish and accept a relatively limited set of standardized concentrations for drugs. At a 2008 national consensus conference on the safety of intravenous drug delivery systems, there was a clear preference for manufacturer-prepared completely ready-to-use IV medication in all settings, although increased cost and potential inapplicability (such as for seldom-used but necessary drugs in the anesthesia operating room armamentarium) are drawbacks of that approach if standardization is not agreed upon. Dr. Vaida also noted a clear preference for satellite pharmacies in operating room suites but noted that when that is not possible, there must be organized involvement from pharmacy for anesthesia services in the operating room to support medication safety. Philip J. Schneider, RPh, associate dean of the University of Arizona College of Pharmacy, noted that evidence-based best practices known to improve medication safety, particularly unit dosing, have been in place for medication administration in hospitals for decades, but those concepts are not applied in the operating room. He noted that all of the key parts of the medication administration process (prescribing, transcription, dispensing, and administration—the points at which mistakes occur) are the responsibility of the anesthesia professional in the operating room, preventing the traditional safety checks present in other settings. He suggested that providing “ready-to-use” medications in the operating room whenever possible that are prepared by outsource specialty companies who do that exclusively should decrease medication errors in the operating room. Patricia C. Kienle, RPh, an industry representative holding the position of director, Accreditation and Medication Safety for Cardinal Health, Inc., stressed the need for standardization of all the key functions in the very complex task of anesthetic medication administration in the operating room, illustrating her point with multiple photos of actual anesthesia workstations with what seemed like quasi-chaotic hodgepodges of medication storage and administration. However, she asserted that color-coding of medication containers may not be a help and may actually be a detriment in some cases. She also noted the USP practice standard for sterility of “compounded preparations” and suggested that the traditional 100 ml bag of phenylephrine made up from an ampoule by many anesthesia professionals at the start of a work day does not meet that standard. Andrew J. Donnelly, PharmD, director of Pharmacy at the University of Illinois Medical Center at Chicago, emphasized that cost of medications and associated personnel is a huge issue today for health care institutions facing budget constraints. Further, he also noted that the unique medication use process for anesthesia in the operating room has minimal involvement of pharmacy and lacks the normal checks and balances. He advocated for a much more robust presence of pharmacy service in the operating room, even without a satellite pharmacy, in order to gain the benefit of a team approach with the pharmacist functionally as the “Perioperative Medication Safety Officer” inculcating a culture of safety. This would involve allergy verification, dissemination of drug information, formulary management, facilitation (shortages; look-alike, sound-alike), quality improvement projects, and even research projects. Dr. Donnelly cited survey research showing that “ready-to-use” medications are strongly preferred by practitioners, leading to the idea that collaboration between anesthesia professionals and their pharmacists should lead to consensus on which medications are provided in ready-to-use form in that operating room. He also favored standardization of medications and concentrations, throughout an institution and even across the entire industry. He commented on the large number and quantity of medications in the usual anesthesia workstation, suggesting this is often wasteful and potentially dangerously confusing—the preferable alternative being greater reliance on and interaction with pharmacy service, even if it is an automated dispensing machine or a “smart pump” for a ready-to-use infusion medication. Another advocate for improving operating room medication safety by “teaming up for innovation” with pharmacists and making them an integral part of the operating room team was Bona E. Benjamin, RPh, who is director of Medication-Use Quality Improvement for the American Society of Health-System Pharmacists, an organization that recently held an “IV Safety Summit.” She cited several studies showing the cost and outcome benefits of pharmacist involvement in medication administration, including specifically one large 2007 study of surgical patients showing those without pharmacist-managed antimicrobial prophylaxis had 52% higher death rates from surgical site infections, 10% longer length of stay, and 7% higher drug charges. Noting that the operating room is the most medication-intensive area of the hospital, Ms. Benjamin suggested that now is a great opportunity to coordinate what anesthesia professionals want (medications ready to use, readily available, and easy to store, identify, administer) with what pharmacists want (effective evidence-based processes that are efficient, safe, and compliant with regulatory and accreditation standards and that promote safety through standardization, best practices, security, and control). She concluded with a list of benefits pharmacists can bring to enhance medication safety in the operating room: formulary management; development of evidence-based standard protocols; review of planned/ordered medications for potential problems; analysis of drug use patterns to identify opportunities for improvement; participation in emergencies and maintenance of antidote supplies; support of compliance with regulatory, accreditation, and organizational rules; education on medications, safety programs, and error prevention; and a team culture approach. An example of a safety initiative that could be adapted to operating room medication safety concerns was offered by Bruce D. Spiess, MD, from Virginia Commonwealth University and also chair of the FOCUS group (Flawless Operative Cardiovascular Unified Systems) of the Society of Cardiovascular Anesthesiologists (SCA). SCA is engaged in a comprehensive longitudinal project to study every conceivable aspect of cardiovascular anesthesia practice utilizing real-time observation as well as literature review to determine why errors occur and develop best practices (with check lists) emphasizing systems, human factors, and the team approach to prevent those errors. A parallel project for operating room medication safety improvement was proposed that would utilize the same design. Figure 1. 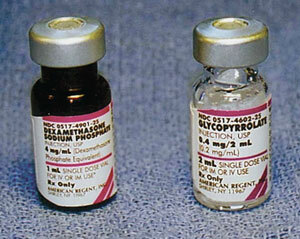 Look-alike medications; left medication is dexamethasone and right vial is glycopyrrolate. A more direct example was presented by Wilton C. Levine, MD, clinical director, Department of Anesthesia, Critical Care and Pain Medicine at the Massachusetts General Hospital. Having participated in an exhaustive study of operating room medication practices, he became one of the developers of an anesthesia medication management system that employs a small printer in each anesthesia workstation and a reader that identifies a medication by the bar code on its container and prints a corresponding fully compliant and water proof syringe label in real time (“Smart Label”). He suggested it is impractical to have 100% “ready-to-use” pre-filled syringes for all medications anesthesia professionals use in all anesthetizing locations and that the automated label printer is the application of a technology in place of having a second person check and verify all medications drawn up and administered by an anesthesia professional. The syringe label also has a bar code that is read (with visual and audible confirmation) and recorded by the associated computerized anesthesia automated record/information management system (AIMS). This syringe bar code is easily integrated with AIMS so that at the time of administration, the bar code is scanned to confirm the drug name and concentration, patient allergies, if the syringe has expired, and if the syringe has already been used for another patient. Dr. Levine detailed how this system can also be integrated as the safety system for seamless use with ready-to-use prefilled syringes. He noted that in his institution where some rooms have the technology and others do not, practitioners who have worked with the system always request to be assigned to rooms with the computerized system. He concluded with the belief that technology combined with increased pharmacy services will lead to best (safest) operating room medication practices. Todd N. Jones, RN, director of Marketing, Central Admixture Pharmacy Service (CAPS), a business unit of B. Braun Medical, Inc., described the role of a compounding pharmacy in enhancing operating room medication safety. He suggested there is evidence that standardizing concentrations and diluents improve medication safety, both in general and particularly when transferring patients on life-sustaining infusions from the operating room to postoperative care. Further, he maintained that premixed solutions and prefilled syringes (whether purchased from an outsourced compounding pharmacy like CAPS or prepared in the facility pharmacy) relieve anesthesia professionals of the preparation steps, allowing them to focus more on the patient in the operating room. Another safety issue he commented on was the potential for wrong site/port injection, particularly of dangerous medications accidently injected into an epidural catheter. The potential for separate distinctly incompatible connectors to help prevent such accidents was presented. Rich Kruzynski, RPh, president of PharMEDium Services, LLC, outlined the extensive market research his company has done on medication administration in the operating room. As a result, his company offers standardized sets of anesthesia medications presented in a standardized array in trays and carts with comprehensive fully compliant labels. Everything is bar coded and compatible with readers utilizing AIMS. Included among the benefits he cited for this approach are full regulatory compliance, lower cost, and the hope for increased medication safety. Mary Baker, PharmD, medical manager, Global Medical Affairs for Hospira, Inc., addressed the challenges of injectable drug labeling. She suggested that color-coding has drawbacks and that efforts should be directed at making the information in the printing more effectively communicated by the label. Bar coding is essential and standardization of labeling policies is critical, she emphasized. Timothy W. Vanderveen, PharmD, vice president, Center for Safety and Clinical Excellence for CareFusion Corp., also stressed the unique challenge of total medication management by a single anesthesia professional in the operating room who usually relies on personal habits and experience to execute the process. Reminders of the widely publicized Indiana deaths from heparin dosage errors in newborns and the story of an Ohio pharmacist sentenced to prison after the death of a child due to a compounding error served to emphasize the great responsibility involved in preparing and administering IV medications. He suggested that bar coding technology and automated drug dispensing cabinets in each operating room would help organize and standardize medication practice, promoting medication safety. He noted the added benefit of such a computerized system for tracking controlled medications and maintaining vigilance for any potential drug diversion by caregivers. Another beneficial technology with beneficial safety implications is smart infusion pumps that decrease chances for dose calculation errors, smooth transitions to and from the operating room for patients on critical infusions, and that perhaps someday in the United States will be utilized to administer target-controlled infusions. The final podium presentation was from Mark W. Vaughan, global product director, Hospital Infusion, Smiths Medical North America, who advocated for smart infusion pumps and technology utilizing standardized drug concentrations that simplify the function of the infusion pumps (which soon will be wireless). Traditional pumps are prone to programming errors that could endanger patients. He also promoted unique connectors that would prevent accidental cross injections among IV, epidural, and enteral infusion lines. With the admonition that “pharmacy is your friend,” he again stressed standardization of medication preparations as key to improving OR medication safety. Standardization, Technology, Pharmacy/Prefilled/Premixed, and Culture, generated intense debate. There was a specific assignment to generate up to 3 primary actionable recommendations that could produce “predictable prompt improvement” in operating room medication safety. There was also the requirement to balance the often contradictory considerations of the clearly ideal top-priority beneficial measures vs. the realistic practicality of potential for implementation in the short-term future. Thus, the discussions involved a great many back-and-forth swings of argument and opinion. The Standardization Group, led by Patricia A. Kapur, MD, APSF Executive Committee member, considered what degree of standardization would be achievable for which components of the operating room medication process and how that could be accomplished. The Technology Group, led by George A. Shapiro, APSF executive vice president, eventually decided to leave the issue of configuration of medication containers to the Standardization Group and focus on hardware and software that could prevent drug errors. 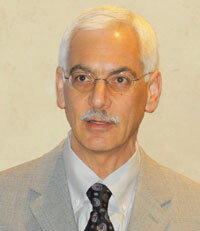 The Pharmacy Group, led by Sorin J. Brull, MD, chair of the APSF Scientific Evaluation Committee, struggled with the balance of roles between the anesthesia professional in the operating room in real time and the related supporting pharmacist as far as maximizing safety of medication procedures. The Culture Group, led by Robert C. Morell, MD, editor of the APSF Newsletter, debated what would be the best target mindset to promote operating room medication safety and then how best to achieve that goal. After the breakout sessions the 4 groups reassembled in the main meeting room for the final “consensus development” session that was chaired by Dr. Robert A Caplan, MD. Each group’s spokesperson presented that group’s list of action-item recommendations and then all the attendees voted on setting priorities. During each of the 4 small-group presentations, the attendees had 2 votes each and Dr. Caplan was rigorous in enforcing the idea that an attendee could only vote for 2 ideas on the list from each breakout group, thus facilitating the establishment of the top priority recommendations. Because the central premise of this conference focused on developing measures above and beyond the basics of medication label format that have been discussed for years, it was nonetheless emphasized in the final consensus-development session that everyone involved must never lose sight of the starting foundation concept that there must be fully compliant labeling of all medication containers and syringes used in the operating room as the nucleus of medication safety efforts (see also the American Society of Anesthesiologists’ “Statement on the Labeling of Pharmaceuticals for Use in Anesthesiology”).3-5 However, the role, utility, and feasibility of color coding requires additional study and consensus building. Due to conceptual overlap some ideas for medication safety “action items” were combined or transferred. The resulting list of the action items (practical recommendations for “predictable prompt improvement” in operating room medication safety in the immediate short-term) is presented in Table 1. 1. High alert drugs (such as phenylephrine and epinephrine) should be available in standardized concentrations/diluents prepared by pharmacy in a ready-to-use (bolus or infusion) form that is appropriate for both adult and pediatric patients. Infusions should be delivered by an electronically-controlled smart device containing a drug library. 2. Ready-to-use syringes and infusions should have standardized fully compliant machine–readable labels. a. Interdisciplinary and uniform curriculum for medication administration safety to be available to all training programs and facilities. b. No concentrated versions of any potentially lethal agents in the operating room. c. Required read-back in an environment for extremely high alert drugs such as heparin. d. Standardized placement of drugs within all anesthesia workstations in an institution. e. Convenient required method to save all used syringes and drug containers until case concluded. f. Standardized infusion libraries/protocols throughout an institution. g. Standardized route-specific connectors for tubing (IV, arterial, epidural, enteral). 1. Routine provider-prepared medications should be discontinued whenever possible. 3. Standardized pre-prepared medication kits by case type should be used whenever possible. a. Interdisciplinary and uniform curriculum for medication administration safety for all anesthesia professionals and pharmacists. b. Enhanced training of operating room pharmacists specifically as perioperative consultants. c. Deployment of ubiquitous automated dispensing machines in the operating room suite (with communication to central pharmacy and its information management system). 1. Every anesthetizing location should have a mechanism to identify medications before drawing up or administering them (bar code reader) and a mechanism to provide feedback, decision support, and documentation (automated information system). a. Technology training and device education for all users, possibly requiring formal certification. b. Improved and standardized user interfaces on infusion pumps. c. Mandatory safety checklists incorporated into all operating room systems. 1. Establish a “just culture” for reporting errors (including near misses) and discussion of lessons learned. 2. Establish a culture of education, understanding, and accountability via a required curriculum and CME and dissemination of dramatic stories in the APSF Newsletter and educational videos. 3. Establish a culture of cooperation and recognition of the benefits of STPC within and between institutions, professional organizations, and accreditation agencies. In the consensus session there was agreement that facility administrators must be involved in all major system improvements and should be included on committees and task forces that address medication safety in the operating room. It was noted that administrators tend to pay particular attention to regulations and standards, especially those from CMS and The Joint Commission, because of the potential substantial financial implications of non-compliance. Thus, one major theme was the perceived need to convince regulatory and standard-setting bodies to recognize and focus on medication safety in the operating room. Significant debate occurred regarding the concept of incentives for engaging and improving medication safety in the operating room. The fact that anesthesia professionals are “fiercely independent” and thus reluctant to change their individual practice habits (as related to medication preparation and delivery) to fit a standardized protocol was noted. A question about the possible value of individual financial incentives to practitioners evoked a reference to the initial push in the mid 1980s for adoption of pulse oximetry and capnography for continuous patient monitoring. Various malpractice insurers gave their clients premium discounts for signing a contract to always use the monitors, which clearly helped increase their implementation at a time before those monitors became undisputed universal standards of care. Opinions from participants were mixed regarding a possible similar approach to programs for medication safety in the operating room. Likewise, widely divergent views were expressed about the concept of “selling” improved medication safety strategies and management systems to facility administrators on the financial grounds of increasing efficiency, production, and revenue—with patient safety improvement as almost a side benefit. That idea was opposed by some attendees who believed that medication error reduction and improved patient safety are the real goals that should remain the primary consideration for everyone, administrators included. One comment to this point related to the beneficial impact of standardization on quality; if a process is standardized, it can be integrated, it can be taught, and it can be measured in order to improve efficiency and safety. A proposal was floated that practice guidelines involving checklists (analogous to the World Health Organization Surgical Safety Checklist) are the clearest, most direct ways to improve medication safety in the operating room.8 This approach allows practitioners to know what is expected of them and allows compliance, and, particularly, change to be measured by an objective benchmark. Further, even though cultural attitudes on education, accountability (“just culture”), and cooperation are harder to put into guidelines and then measure, it was noted that the U.S. Agency for Healthcare Research and Quality has survey tools to measure safety culture. Dr. Stoelting provided closing remarks, which evolved into a discussion with continued lively audience participation. One theme was the perceived need to convince leaders of relevant major national organizations (professional societies, industrial, regulatory, standards, quality improvement, government, foundations) to become involved as champions for improved medication safety in the operating room and as a source of consensus to help achieve it. APSF was viewed as the logical entity to lead this effort, beginning with dissemination of this report. There was widespread agreement that individual anesthesia professionals, by definition, will possibly have to surrender some of their “independence” and will need to adapt their personal preferences, styles, and habits (regarding medication preparation and delivery) into more standardized practice patterns (likely involving guidelines, protocols, and checklists) utilizing more standardized medications (involving input from pharmacy services) with more reliance on technology. The involved health care facilities and their administrators are critical to the effort, for both moral support to do the right thing and financial support to help make it happen. It is possible the front-line practitioners in the operating room will take some convincing, but culture can change, just as it did regarding intraoperative monitoring years ago. Today, no anesthesia professional begins an anesthetic without complying with universally accepted approaches to intraoperative monitoring. APSF supports a similar approach for medication safety in the operating room that includes the paradigm of Standardization, Technology, Pharmacy/Prefilled/Premixed and Culture (STPC). The hope is this change will result in a dramatic reduction in the still-persistent medication errors, which result in patient morbidity and mortality. John H. Eichhorn, MD, Professor of Anesthesiology at the University of Kentucky, served as the first editor of the APSF Newsletter beginning with its initial publication in March 1986. He remained as editor until 2002 and continues to serve on the Editorial Board and is a consultant to the APSF Executive Committee. Stabile M, Webster CS, Merry AF. Medication administration in anesthesia: Time for a paradigm shift. APSF Newsletter 2007;22(3):44-6. Martin DE. Medication errors persist: Summit addresses intravenous safety. APSF Newsletter 2008;23(3):37-9. Eichhorn JH. Syringe swaps in OR still harming patients. APSF Newsletter (Winter) 2008;23(4):57-9 . ASTM D4267-07, Standard specification for labels for small-volume (100 mL or less) parenteral drug containers; ASTM D4774-06, Standard specification for user applied drug labels in anesthesiology; ASTM D6398-08, Standard practice to enhance identification of drug names on labels. Available at www.astm.org. Accessed May 10, 2010. Anaesthetic and respiratory equipment–user-applied labels for syringes containing drugs used during anaesthesia–color, design and performance. Available at www.iso.org. Accessed May 10, 2010. American Society of Anesthesiologists. Statement on the labeling of pharmaceuticals for use in anesthesiology. (last amended October 21, 2009). Available at http://www.asahq.org/publicationsAndServices/standards/38.pdf. Accessed May 10, 2010.
http://www.hibcc.org/AUTOIDUPN/standards.htm. Accessed May 10, 2010. The World Health Organization. WHO Launches “Safe Surgery Saves Lives.” APSF Newsletter (Summer) 2008;23(2):21-6.